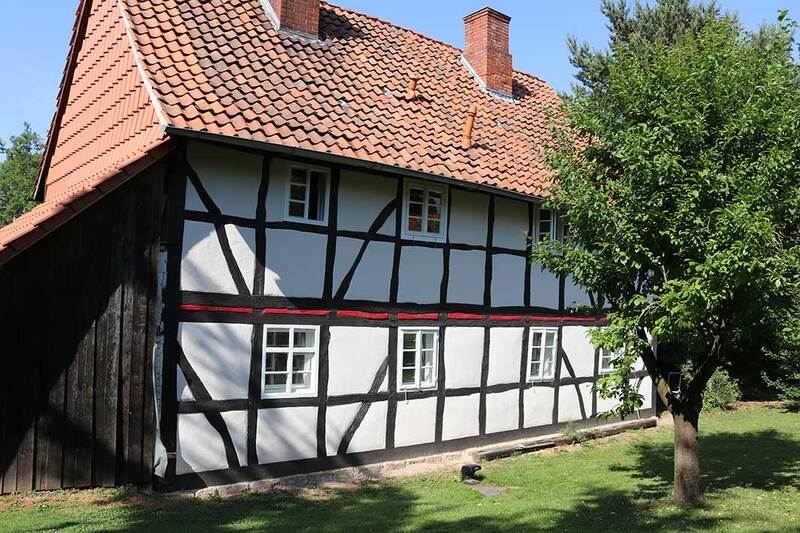 KREIDEZEIT Lime Paints are suitable for interior and exterior application. Finely dispersed marble lime gives gives these lime paints a very high whiteness as well as an enormous bonding and adhesive power. Completely without the addition of synthetic resin binders and synthetic pigments such as titanium white. Ideally suited for coatings in damp rooms due to high diffusibility, long-lasting alkalinity and surface that prevents condensation. Usually covering in 2 coats. Outdoors, 3 coats of paint extend the shelf life. 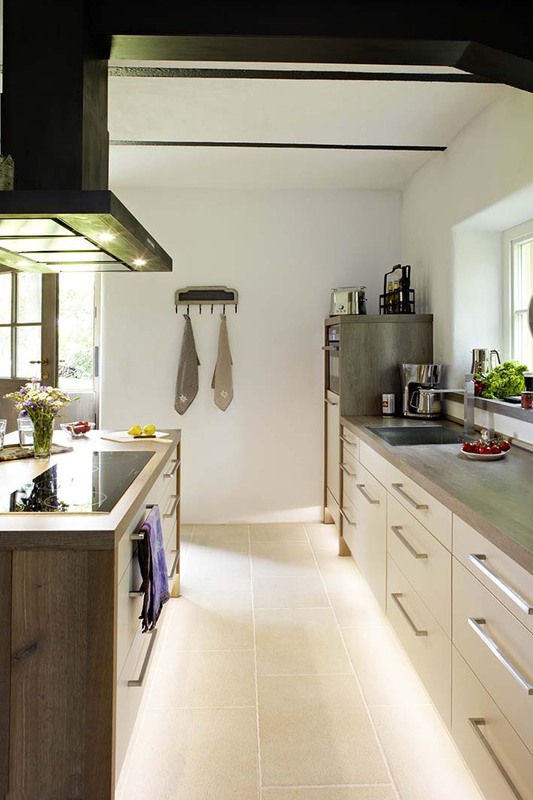 Tinted lime paints produce surfaces with characteristically changing colour intensity. When using the product, the complete Product information must be observed. Untreated mineral plasters, concrete, stone, masonry, plasterboard, gypsum fibre boards, paper fleece, all KREIDEZEIT wall paints and plasters (except distemper), matt and absorbent synthetic resin dispersion paints (after application of test surfaces with positive result). 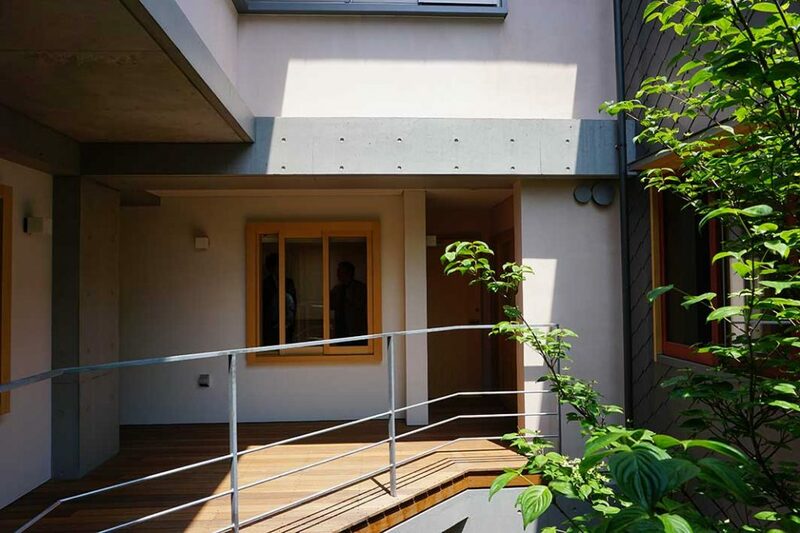 Untreated mineral, weather-resistant plasters, concrete, stone. Do not use on composite thermal insulation systems. Apply a base coat to all renders, fillers, levelled drywall, concrete and old emulsion paints with Vega Primer or Casein Primer and leave to dry completely. Do not apply to paper fleece/wallpaper. We recommend to apply the Lime Paint with a brush in a criss-cross pattern. White lime paints can also be rolled on slightly absorbent surfaces. Work swiftly “wet-on-wet” in a criss-cross pattern and then roll the surface in one direction. The processing of the Paints with the roller must be checked on trial areas. Do not roll tinted Lime Paints ! Application of the paints with airless spray guns is possible Test report. Depending on requirements, use paint undiluted or diluted with 5 – 10 % water. Choose a dilution that makes the paint easy to spread. For facade surfaces, we recommend hydrophobing with a 2% solution of KREIDEZEIT Corfu Soap. Dissolve the soap in the proportion 20 g soap flakes on 1 litre of water. Do not apply in any higher concentration. 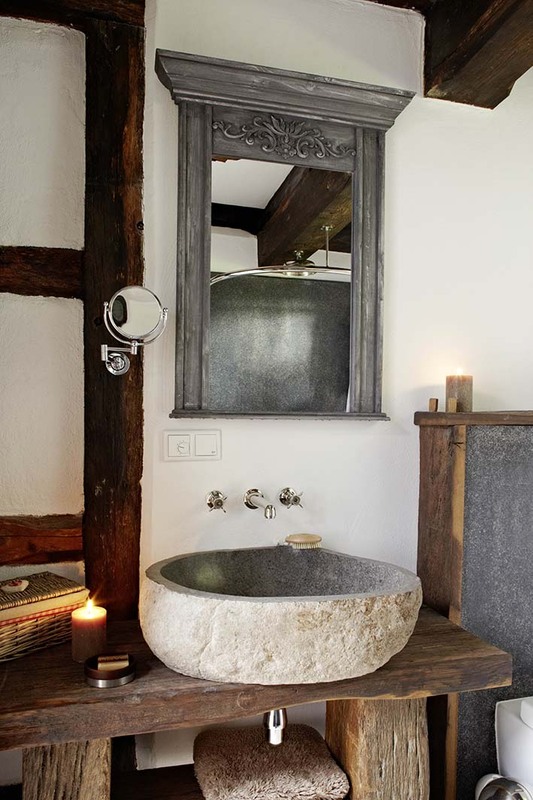 For an optimal hydrophobic effect, apply the soap solution to the dried lime paint as early as possible, at the latest after 24 hours. Apply thin and evenly, from bottom to top. Do not roll! Application can be repeated after drying. On tinted lime paints, a typical cloudiness can occur on lime soaps (sample area recommended). Allow at least 8 hrs. drying time between the coats at 20°C and a relative humidity of 65%. Protect the painted surface against sun radiation and rain during the first days and spray a little water from time to time (water must not run down !). Good quality, medium-pile paint roller (polyamide) and paint brush. Airless sprayers (min. air pressure 200 bar). Immediately after use with water. 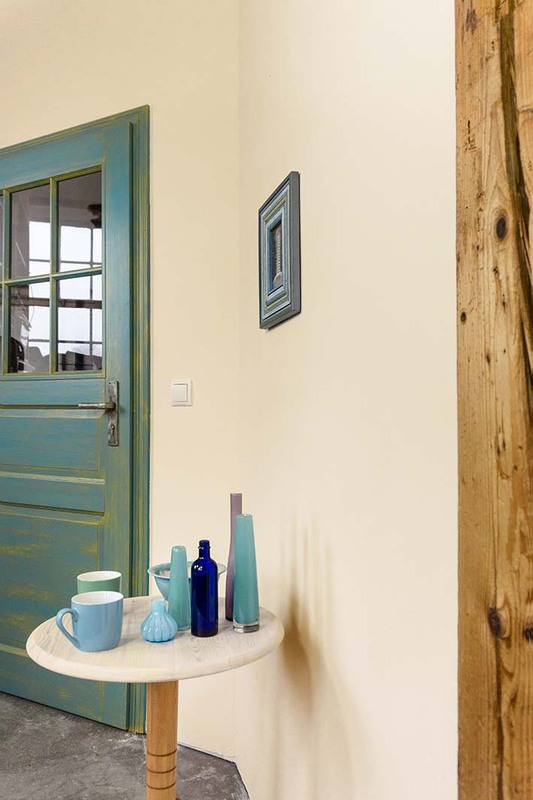 – The colour effect of our lime wall paints, which are based on traditional formulations, differs from the widely used plastic dispersion paints due to the natural ingredients used (especially also due to the absence of titanium white). The surfaces appear more lively depending on the lighting conditions, the colour effect varies. A slightly cloudy character can develop. A processing with the brush underlines this character. We therefore recommend using a brush. However, in some cases, e.g. when painting rough fibre, the use of paint rollers is more practical. Tinted lime paint should never be painted with paint rollers. All KREIDEZEIT Lime Paints can be tinted with all KREIDEZEIT earth- and mineral pigments. The pigments can be mixed with each other in any ratio. A pigmentation might reduce the storage time of the Lime Paint. Use up tinted Lime Paints as soon as possible. Use up Lime Paints tinted with Ultramarine pigments within 12 hours. The online colour guides are for informational purposes only. We would like to point out that the color tones cannot always be displayed correctly by different monitors and their settings. The same applies to self-created prints of these colour charts. In order to get a better or true-to-original impression of our colours, we recommend the purchase of our colour chart, our colour guide with original coats or our printed, free flyers.